Dr. Arnold Klein is now being noticed as the true sperm donor of Prince and Paris. 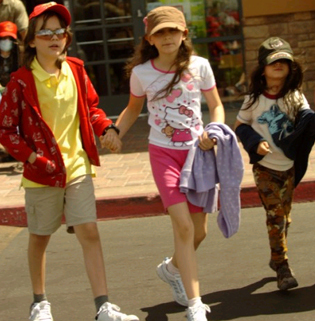 The three children; Prince, Paris and Blanket. The only one that truly could be genetically linked to Michael according to looks would be Blanket; however, his look and the present day Michael match; not the true Michael Jackson. While it is sad to lose a super star in death, I find the greatest tragedy is the legacy left behind to Michael Jackson's children. Prince, Paris and Blanket (as he is known) were highly protected from the public scene, which one would consider admirable on Michael's part for shielding his children from the public eye and the paparozzi. However, where were his children when he was entertaining children from all over the world? Where were they when he was having his sleep overs? Where were they when he was touring? Did Michael actually raise these children or did their nannies? Katherine Jackson recently stated to the press that his children were happy to be around their cousins and other children their age because they weren't used to being around other kids. That they enjoyed the interaction. This statement struck a sour note inside of me. How could three children, living in a home called Neverland and a home that housed an amusement park, a zoo and millions of children as guests, not be used to playing with other children? The story of Michael's children seems very sad. Debbie Rowe, who married him, admitted that they never lived or slept like husband and wife. She was "used" as a surrogate for him and was artificially inseminated as she and Michael had never consummated their marriage. Now, stories of Dr. Klein, Michael's dermatologist, have come to light and it is being said that he was the sperm donor of both Prince and Paris. This would make sense being that both children are light skinned; bearing no resemblance to Michael as he would truly look, pre-surgery. One of the children even had blonde hair for much of his youth. Blanket has a darker complexion but not any characteristics of Michael's look...Michael actually took on the look of Blanket through the years. Not knowing what Blanket's mother looked like, it's hard to know his genetic makeup. So, Michael raised three children that he called his own; but in all likelihood, they were not his legal or biological children. Is that why they were hidden away? To keep the questions from pouring out? Is that why we saw few pictures of them? 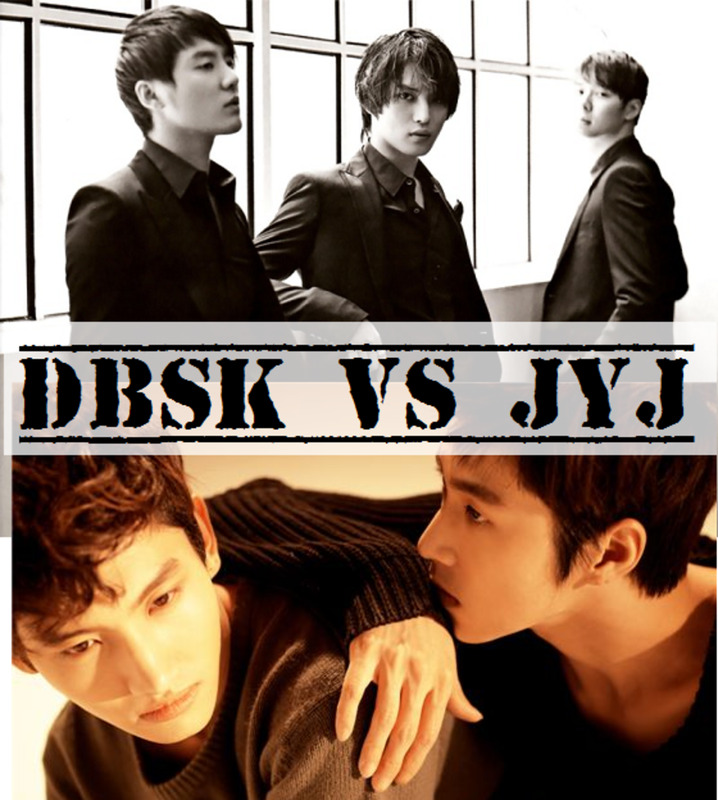 So these comparisons could not be made? First, having read that Michael, upon finding out that Debbie Rowe could not carry any more children for him, snatched Paris from the moment she entered the world, wrapping her in a blanket and having a medical team and nannies waiting to care for her, makes me wonder what kind of father Michael really was. Secondly, if anyone else in this country took a child and raised them as their own, without any legal or biological rights to that child aside from paying for the surrogate, people would question the legality of this. Shouldn't Michael have gone through the red tape and paperwork that all parents wanting to adopt a child have to go through? I question why he chose Debbie Rowe. Was she someone that could be un-emotional and easily give up her children for a price? If the dermatologist is truly the sperm donor, why would he agree to father these children? Did he receive a pay-off too? If Prince, Paris and Blanket ever have (God forbid) medical issues, it will be very important to know their correct lineage. Did Michael think of this? It seems with keeping his own children away from their relatives and other children, they were treated more as possessions instead of children. At least Bubbles the Chimp received some media attention. It had to be difficult for these kids to go out in public with their faces covered and avoid speaking to others. Think of your own children. Have you found it easy to silence them and have them blend into the woodwork when you have gone places; especially when you travel and visit areas of the world? The expectations of the Jackson children were stifling for a normal child. It sometimes seemed as if Michael was living out his own alienation through his children. Paris spoke at her father's funeral and said she missed her daddy. The news reports that the many nannies hired to care for his children were now with Katherine assisting her. Why would Michael want his children to grow up with his father; a man he left out of his will and who he claims abused him throughout his life? I realize that he idolizes his mother but his mother lived in that same house where the abuse occurred. Will Michael's kids suffer from the same abuse? I do worry about that. 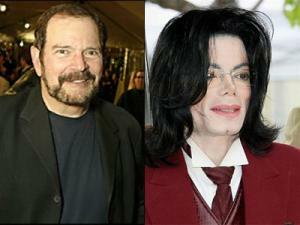 The tragic loss of Michael Jackson has resulted in something more disturbing. Three children, true parents unknown, are now living with Michael's abusive father, elderly mother and they have no mother to call their own. As much as Michael could have given them or done for them during their short lives so far, having two parents (whether together or not) eases burdens of loss for a child. I pray that these three children can form positive relationships with their cousins and relatives. I pray that they can learn to have a semi-normal existence where childhood experiences that we may have taken for granted, are made accessible to them. I hope that the three of them have felt loved and will feel love as they continue their life from this point on. Knowing that your father was an addict, didn't want to grow up, was an androgynous human being and that he ended up dying from being over medicated doesn't leave a child with much of a legacy to be proud of. All the money in the world can't buy love and happiness. Michael Jackson was living proof of that. please note that I wrote this article almost 2 years ago! A lot has changed since then with his children and they do appear to be adjusting well. As for actually knowing anything about Mr. Jackson however, not many can actually say what is true and what is not; even when using the Grammy's and Oprah as their sources as you do. May he rest in peace. I cannot believe the assumptions that have been made here. The comments have been based on little more than gossip and heresay. Anyone who knew Mr. Jackson well said that he was an incredible father to his children - including the children themselves, and i think we can see from their apperances at the Grammy's and on Oprah that they are in fact VERY proud of who their father was and miss him terribly. 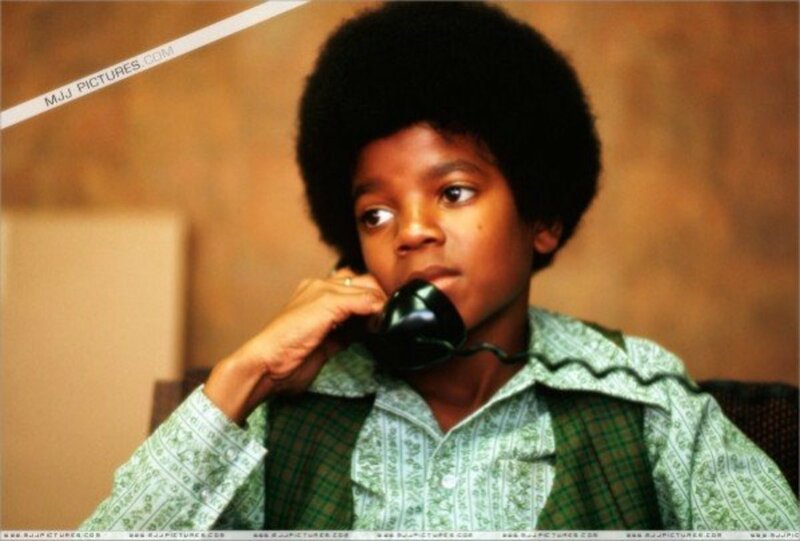 The Jackson family actually did not have much contact with him in the last years of hs life, so wouldn't know how often they had contact wih other children. Photos and videos released after MJ's death (but taken before) clearly show them playing with other kids and they appear to be bright, well adjusted and confident children. Mr.Jackson's legacy is not ony his musical achievements but also his consoderable humanitarian efforts around the world- something his son has already promised to continue. I think he has left alot for them to be extremely proud of, much more than most of us ever will. I also want to say that genetically there is actually no reason why the children cannot be his biological chilren, so to suggest that they are not is simply irresponsible. We also don't know the whole truth behind his relationship with the children's mother, so to comment on that is totally inappropriate. Yes, as you said, we are all entitled to our opinion, but base it in FACT, not on gossip, heresay ad half-truths. I miss MJ and I am sure his kids miss him as well, the media should leave them alone! Naomy, I do agree...Michael was afraid of his father I believe which came out in the will when his father was left with nothing and his mother received it all. I hope they do form some bonds with kids their own age. They need it. Thanks again for the Hub. I do too sablirab...hearing about all of the court stuff they are going through now; not a way to spend their childhood. Hope that the fact they are out and about now, they have formed some tight bonds with some kids. These are questions I never thought about; I enjoyed reading the Hub! At the end of the day, I just hope that the kids grow up in a household full of love, support, and kindness. And, I hope they ARE able to interact with other kids their age in a way that is typical of kids their age. Yes, I respect your experience and you might have experienced in this case, but that doesn't always mean that you're right. People often jump to conclusions rather than searching for the facts including professionals. You seem to be suggesting that his sleepovers weren't innocent. An innocent man wouldn't defend his innocence as adamantly as he was. Second of all, you should read the transcripts of the court proceeding of the last case. Even the child admitted on the stand that he wasn't abused and the mother had a history of teaching him to lie. She even sued JCPenney for sexual battery when they detained her for shop lifting. The reason for the lawsuit besides money? Michael Jackson evicted them off his property after the mother called Jay Leno and he became suspicious. AEvans, you did not come off as brash; no offense taken and I am sorry that you and your family have been directly affected by all of this. Writer, I was not condemning anyone dear, and unfortunately, terrible things happen all over. I have taught for over 23 years and the abuses I see from rich, poor, educated, non-educated families is enough to make you physically ill. Secrets are everywhere. Every community has predators and no where in my article did I state that Michael had abused his children; I stated my concern about his children and the legacy they are left to deal with now that their father is dead. Do your homework before you condemn someone. Just because terrible things happened behind closed doors in your community, doesn't mean that they're happening behind closed doors somewhere else when someone has been accused especially when there's a large dollar amount involved. People extort and lie about other people all the time, just take a look at a few of the writers on hubpages. Facts, evidence, that's what tells the truth. Michael is partially white so if he were to have an entirely white mother for his offspring, they can most definitely pass as full white and be his genetic offspring. I unfortunately cannot comment on what my husband had seen and witnessed but your words regarding the abuse does ring true, Michael did not lie about his abuse. Michael was a doting father who loved his children more then life, he was a very protective father and his children had many privileges. I respect your advocacy for the children I to am a parent who would fight to the death for our child. I can tell you this Michael would not ever harm, molest or hurt a child. The accusations were not true, when a person has money they become a target to others. His heart was so kind that it had gotten him into a mess. 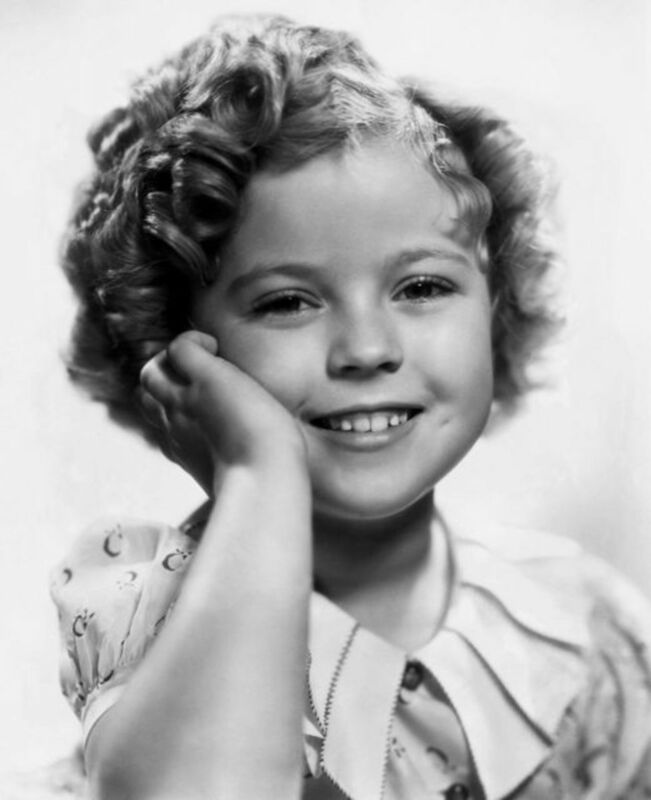 The second false accusation clearly came out in court when it had been noted that the child's mother was lawsuit happy. Here is my own personal opinion, if he was accused the first time and people felt he was a molestor, why would someone place there child in that person's care a second time? A mother and father in there rightful mind would not allow there son or daughter to visit someone's home unless they had ill-intentions. Everyone knew the story of Michael but yet a family who was not innocent allowed there child to stay. Why? Because they knew the accusation the first time was false and believed that they could try and destroy him a second time, for what? Money it was all about money. The media tells all of us what they want us to hear and they do not always tell the truth. I apologize if I come off brash but so much of what they media says does not always ring true. I hope that for once the media will embrace the children and speak of their father in truth and not lies, for once I hope they admit that they have managed to push Michael's life to the limit and apologize to the Jackson family for being so negative and hateful. Yes the entire situation is sad and my husband is still devastated by his untimely death and so are the Jacksons but in our eyes Michael was and will always be a great man. Thank you for the condolences and for listening. Yes we are all entitled to our own opinions and views. AEvans, just as I and others are entitled to their opinion, so are you so I am approving your response. I only know that I grew up in a neighborhood of supposed loving and devoted and religious families only to find the horrifying truth about what went on behind closed doors and when visitors left the home. No one can claim to know a family and what happens within that family because visits were positive. If your husband visited the Jackson home and didn't see the abuse towards Michael by his father, then are you stating that Michael himself was not honest when disclosing his struggle with his past? I believe Michael and his family members were abused by their father. I did not imply that Michael abused his own children, rather did not allow them the same priveleges he allowed children while visiting their home. As a mother, I don't allow my kids to go anywhere alone or visit homes unless I know the adult and can make sure that the adult will be home during their visit. I also know my children want for naut, and I do believe that riches don't mean children can't learn manners and an appreciation for hard work and morals. I believe that Michael taught his children this as did their nannies by their demeanor during this difficult time in their lives. As far as putting his children "out there", it wouldn't have been necessary to put the kids in the spotlight by allowing them play mates and friends. I do believe that Michael was a child in a man's body. As a person who works with disabled people and that has included people who are mentally unbalanced, abuse victims or unstable; I believe Michael was a child trapped in a man's body. I do believe that he loved like a child loves and sadly, never realized that his actions as an adult were improper. I do not believe he was a monster; those are your words. However, I do believe that because of his childhood abuse, drug use (and that is not a false accusation as it has been proven, sad to say) and wish to remain isolated as much as he could, Michael lost control of his own life sadly and when that happens to a parent, the children are affected. It is very tragic and very sad that the children have lost the only parent they know. It does concern me that Joe Jackson will have some say in how the children are raised, especially since he has already alluded to the three of them being talented and possible entertainers. Their father wasn't even in the ground and he was blabbing on talk shows about how he feels he should have an upper hand in raising them. When I wrote this hub, my thoughts were not written down to judge Michael, rather express my sorrow over his tragic life, his oddities that he expressed on his own and in the television broadcast when crew was invited into his home and my anger that these children are left with a legacy of their father that is all but wonderful. 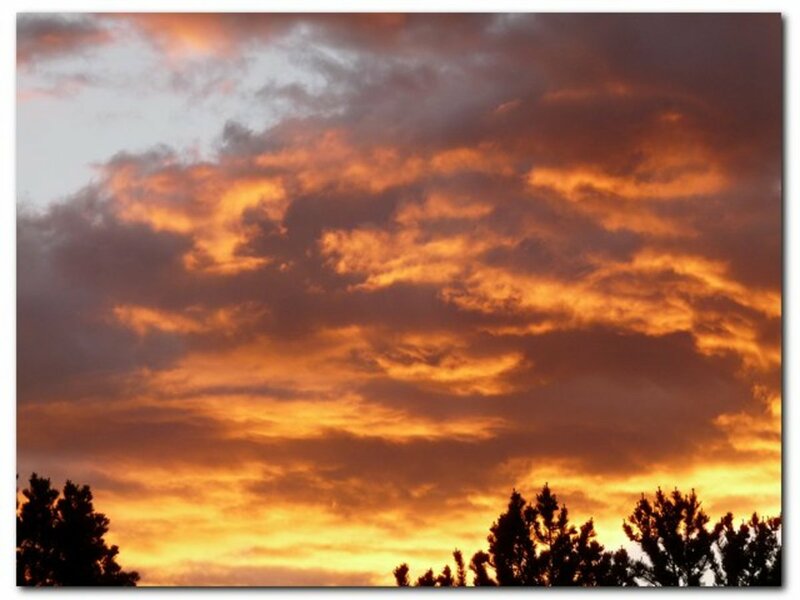 My eyes are not clouded; rather wide open. I am an advocate of children first and foremost and these children will have a lot to face; most of it negative, in their future years. The whole situation is very sad. 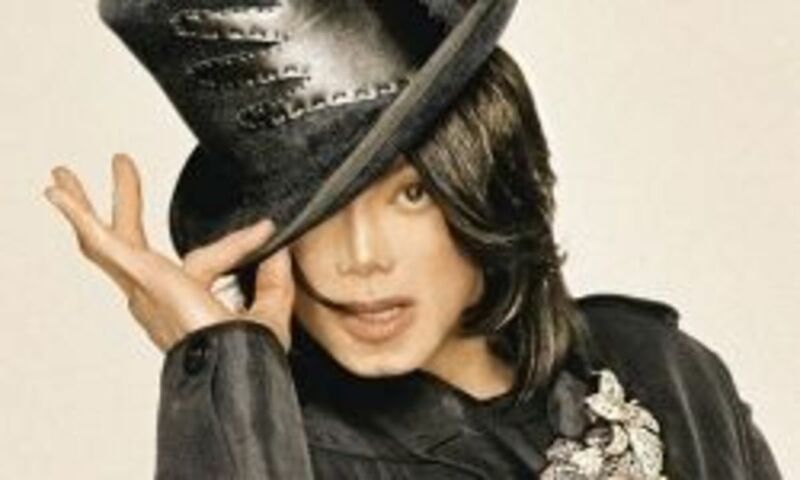 I doubt anyone, including you and your family really knew the true Michael Jackson. Even his family didn't know of all the medications he used. I believe much will be uncovered as more dwelve into his life and his death. I do appreciate your comment however and I can feel your pain and loss over your friend. Death affects us all. My condolensces to your family. 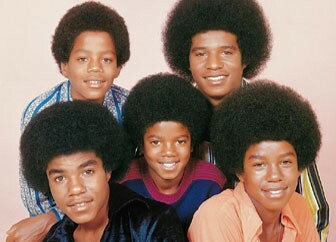 My husband and his family know the Jacksons and my husband used to go to his house when he was a child himself. Michael did not abuse his children, nor is he a child molestor. Michael's children are legal and it may appear that they are white however his children are actually mixed. Surrogate means you take a mother's egg and the father's sperm and the mother uses her body to carry the child. As for the children not being in the spotlight, there are to many stalkers and weirdos who would have tried to take them and use them for all types of things. How many stars do you know that place there children in harms way? I don't know any do you? Michael and his family did not expect him to die so suddenly and his demise was due to a few things. Michael was a loving, caring, giving individual human being who had been portrayed to be a monster that he was not. Until you know the truth or knew him personally you should not be so judgemental and base your information on what the media has fed to millions of people. This is the same media that could not take back what they said about him and tried to be apologetic after his death. I realize this is your point of view, however my perception is that your eyes are clouded by false accusations and propaganda. I watched with tears in my eyes, Paris state that her father was the best father anyone could have asked for. Perhaps he was a loving role model to them. I truly want to believe that he was. My heart goes out to those children and I do hope that the Jackson family seek counseling for the kids so that they can deal with this loss.